Flare Fireplaces has the most extensive lineup of fireplaces for homes and businesses. Flare Fireplaces offers 60 different models of fireplaces. For customers looking for the best modern fireplace or a see-through, indoor, outdoor, or corner fireplace, we offer the most extensive selection. Our models are available in lengths of up to over 100 inches and in glass heights of 16, 24, and 30 inches. If you’re looking for a contemporary fireplace with modern features, we have perfected the integration of fireplace technology with home automation. Control your linear fireplace via the home network or the Myfire© mobile device app, which enables management of multiple installations. Whether away from your home or business, use the app on your Apple or Android device for full control. Our frameless, front linear fireplace models complement many different design schemes and can liven up just about any setting. They come in 11 different sizes, in widths from 25 to 100 inches. See-through fireplaces add versatility because a fireplace must no longer be at the edge of the room. Place it in the middle or at a window, or place a TV or other centerpiece above. Our see-through gas fireplaces are available in 11 sizes and three glass heights. Available in eight different sizes, our left and right corner fireplaces allow for more luxurious designs. More flexible placement adds to the quality, while the frameless design and extensive viewing angles maximize value. A corner gas fireplace can reach from one side of an architectural element to another. We offer eight different lengths. Each features a 16- or 24-inch opening and a clean, smooth presence. Multiple viewing angles and full glass paneling allow a clear line-of-sight of the flame on unit lengths of 30 to 160 inches. 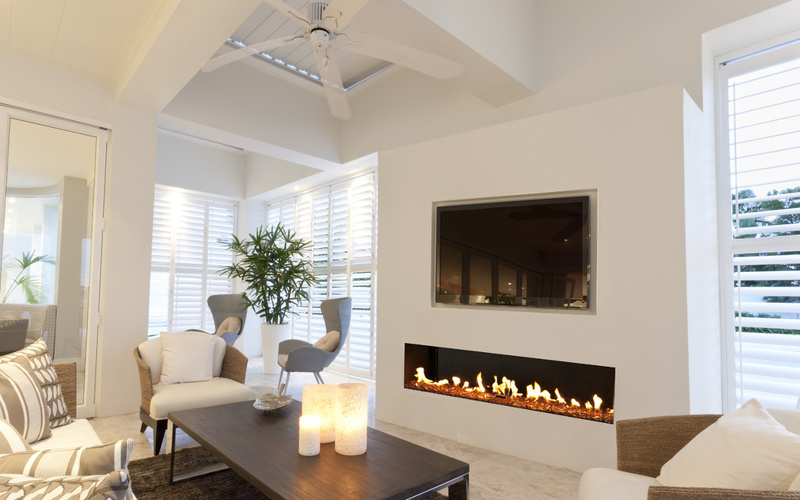 If your room includes peninsula-type walls, we offer a linear gas fireplace that fits the bill. There are seven sizes for a modern fireplace with three glass sides, a side vent, and protective screens or double glass. Modern commercial fireplaces are available in front and see-through models. Verified and certified for commercial use, our commercial models have taller glass for an increased viewing angle. Double glass designs improve safety and reduce radiant heat. A commercial-grade gas valve is also included. Flare Fireplaces has many different options for indoor installations. If you need assistance choosing, operating, and troubleshooting a contemporary gas fireplace, our team will assist you in any way possible. 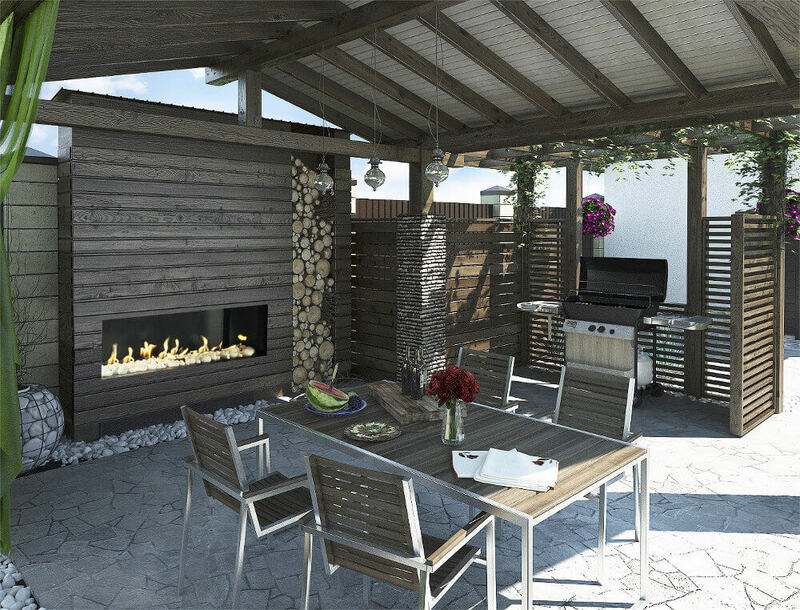 Our front outdoor fireplace comes in 11 sizes. You can choose from two different glass heights and, like their indoor counterparts, protective screens or double glass. Every unit we stock is certified and approved by the CSA. For more information on our home and commercial fireplaces, which heat using electronic ignition (and use battery backup in case of a power outage), the types available, and options, contact us online at [email protected] or call 866-639-1590.